I was apprehensive to start this series, despite the many raving reviews I had read of it. I had seen an episode of the TV show, and it really turned me off from it, but I didn't want to immediately shut down the book, too, so I just waited until the hype died down a bit. 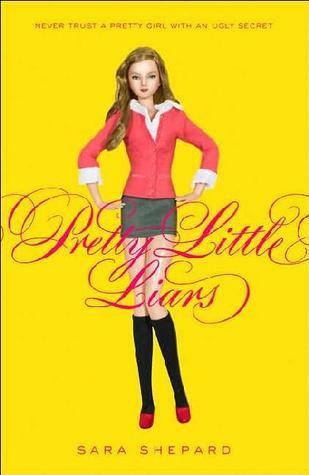 I was actually really surprised by how much I liked Pretty Little Liars when I read it. I really liked this book. I might even say that I loved it. It was nothing at all like I expected. Sara Shepard had a great writing style, and even though she wrote about several characters, I connected with all of them on some level. I connected with Spencer the most, mostly because at the end, when her parents completely just... disowned her, my heart just broke for her. If you were skeptical about reading this series like I was, I definitely recommend that you give it a try. You never know, you might end up loving it just as much as I did. I give this novel 4.5 out of 5 stars. I really didn't expect to love this series, but I do. I'm currently reading Wicked. Each book gets more and more heavy, and secrets are revealed...leaving the reader shocked. Great post! I just picked this book up at the Borders closing sale! Happy to see someone else hadn't read it right away either! ;) Looking forward to starting it now.